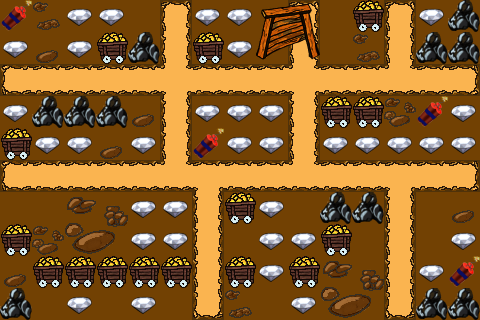 MinerMo is a classic level playing game. 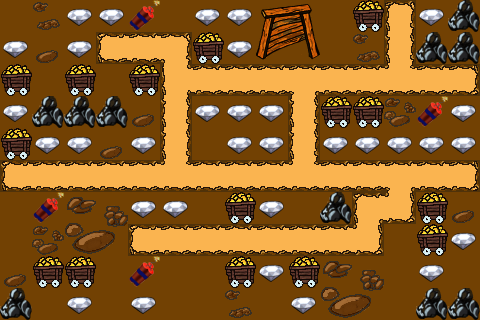 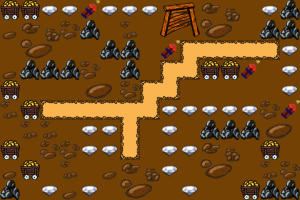 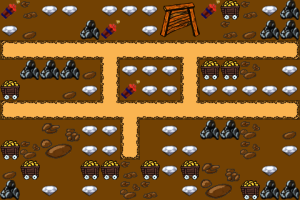 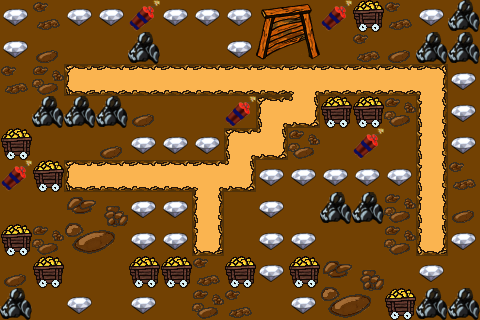 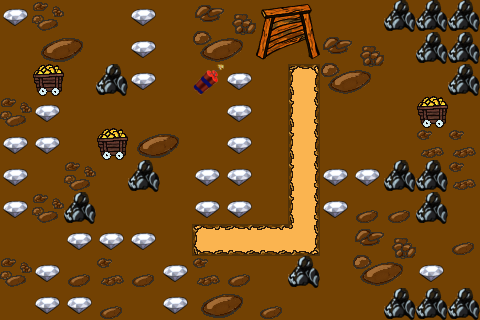 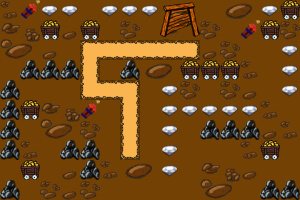 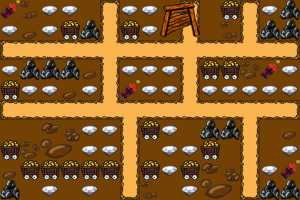 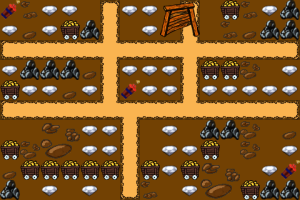 MinerMo must, while being pursued by two robbers, collect all the precious items to get to a higher level. The goal is to achieve the highest score in the high score list by grabbing all the precious collectables on each level and collecting additional points by dropping dynamite into the mine shafts and hitting the robbers. 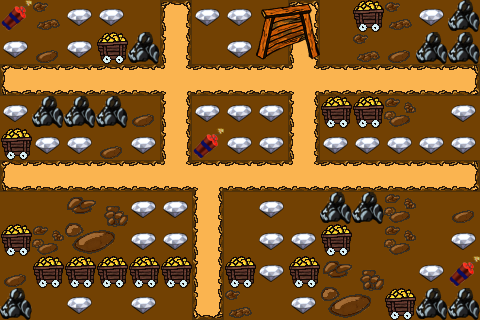 The initial game exists of 8 playing levels and there will be more to follow in the near future.